The Up Series has a pretty simple premise. 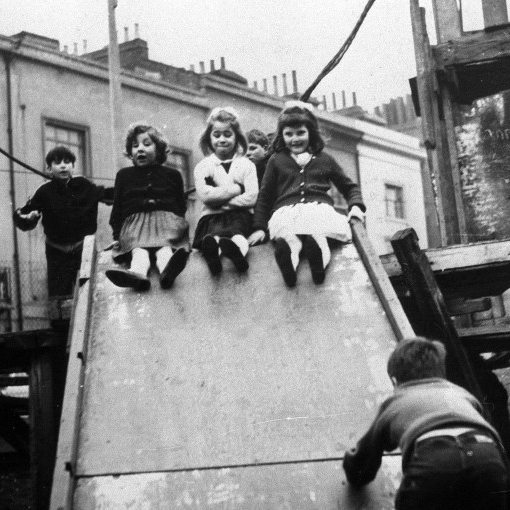 In 1964, documentary filmmakers in England visited a bunch of seven-year old children. Some from the upper-class, some from the working-class. Some boys, some girls. The idea, as the documentary put it, was to "get a glimpse of England in the year 2000. The union leader and the business executive of the year 2000 are now 7 years old." But they didn't stop there. Seven years after that, director Michael Apted returned to catch up with some of the kids. And then seven years after that. And after that. He's still going. Those children are 56 years old now — and there have been a total of eight episodes to show us what's happening in their lives. The latest update — 56 Up — came out earlier this year. Taken together, the episodes are a staggering documentary of their lives: sometimes devastating, sometimes uplifting, always fascinating. Roger Ebert once called it "an inspired, almost noble use of the film medium [that] penetrates to the central mystery of life." The fine folks over at Hot Docs are going to be hosting a marathon screening of the series at the Bloor Cinema this weekend: everything from Seven Up! to 49 Up over the course of two days. It'll be $22 if you want to see the whole thing ($19 for members) and you can check out the schedule here.